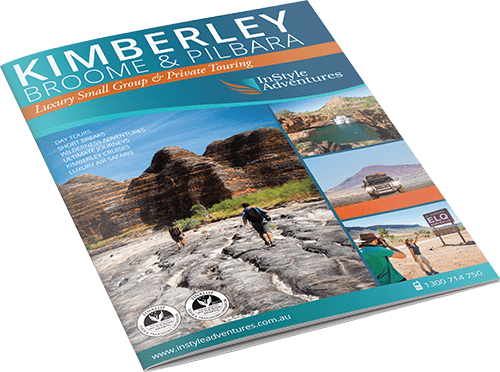 This Self Drive Independent Holiday is an ideal combination with our Pilbara Explorers or Rock to Reef Adventure either pre or post tour. 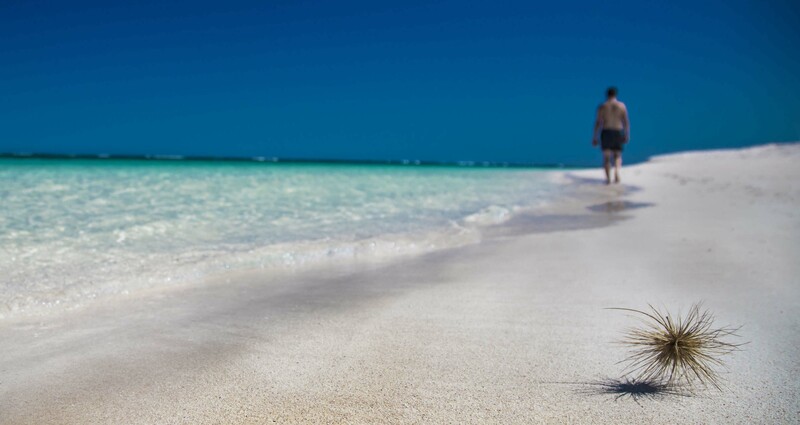 Enjoy a relaxing time in quality accommodation exploring the delights of the small coastal village of Coral Bay and the town of Exmouth, the gateways to the World Heritage listed Ningaloo Reef. 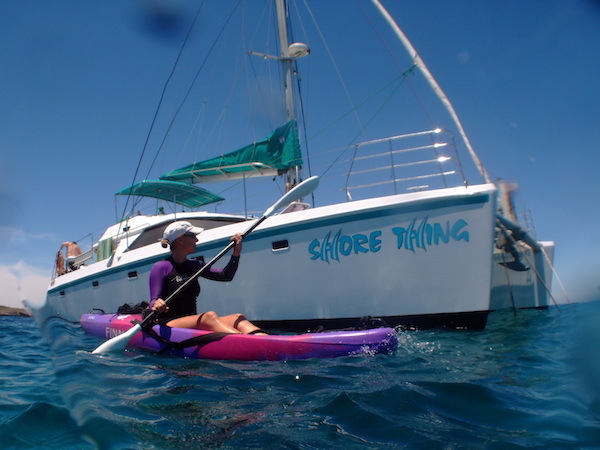 Including vehicle hire, National Park passes and a range of handpicked tours you also have the option of experiencing the best the region has to offer at the luxurious coastal lodge Sal Salis or relaxing and snorkelling on the Ningaloo Reef whilst living aboard in your own cabin on the comfortable catamaran ‘Shore Thing’. This is a flexible independent holiday itinerary that can be tailored to your own interests. On arrival at Exmouth (Learmonth Airport) collect your rental vehicle and drive to your accommodation at Mantarays Ningaloo, the only resort on Sunrise Beach. 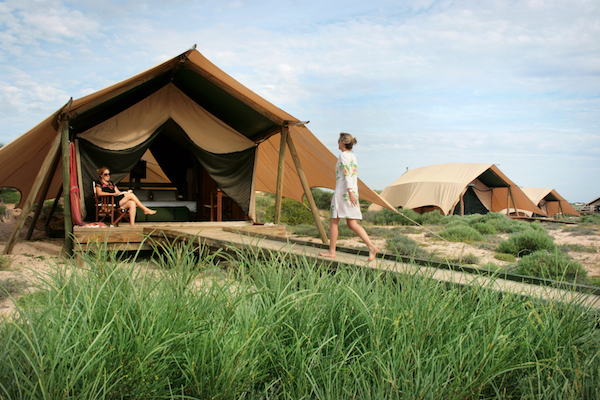 It is your gateway to the world heritage listed Ningaloo Reef and the Cape Range National Park. Mantarays Ningaloo, in the Exmouth Marina, has 68 rooms, servicing the growing popularity of the nature based tourist destination. The King Bed Standard rooms have views of the marina and feature air conditioning, tea & coffee facilities, TV/DVD player, movies on demand and a balcony. The relaxed ambience of Mantaray’s restaurant is the perfect place to enjoy a meal with friends or family while taking in the views over the pool and Exmouth Gulf. In the evening enjoy a drink at the Bar and watch the prawn trawlers head out to begin their evening’s work. Between August and November see the humpback whales relaxing in the calm waters of the Gulf and if you are lucky, a playful calf launching itself out of the water. 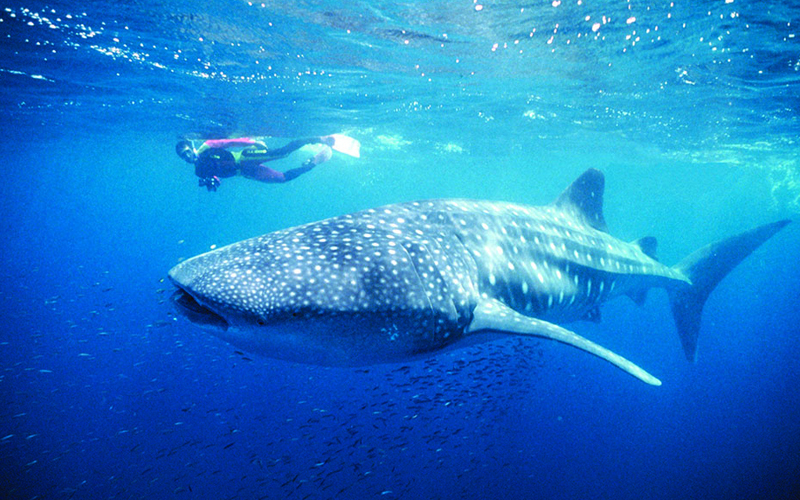 Ningaloo Blue Dive offers the best Whale Shark tours available on the Ningaloo Reef! They pride themselves on delivering a fun yet educational and professional tour, which is suitable for all ages! The highly qualified team is passionate about the Whale Sharks. They make every effort to ensure your Whale Shark Eco Tour with Ningaloo Blue is truly unique and an experience you will never forget! 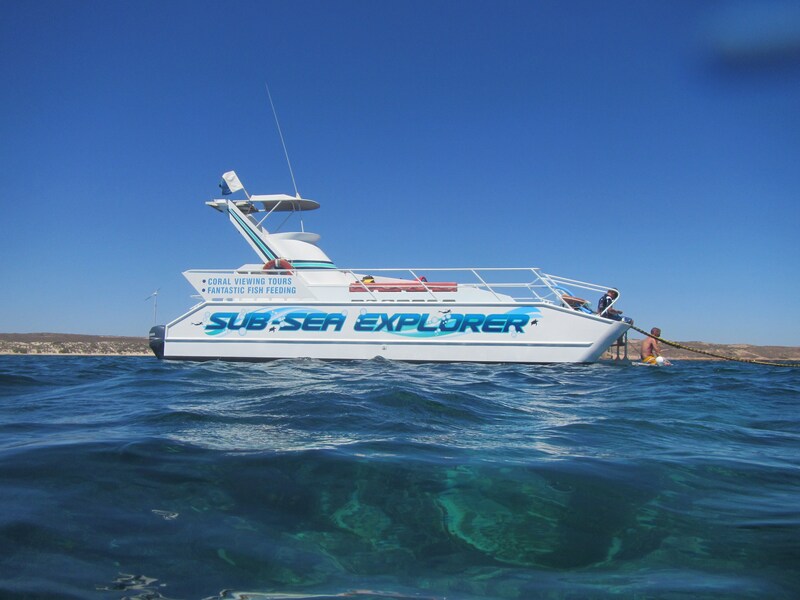 Ningaloo Blue operates two state of the art vessels which are considered to be the biggest and best charter boats in operation on the Ningaloo Reef via Exmouth. Venture IV is an 18 metre specially appointed whale shark vessel with a huge undercover back deck space and a large table & 14m bench seats. Season dependent – at other times can be substituted with Humpback Whale Snorkel Boat Trip. 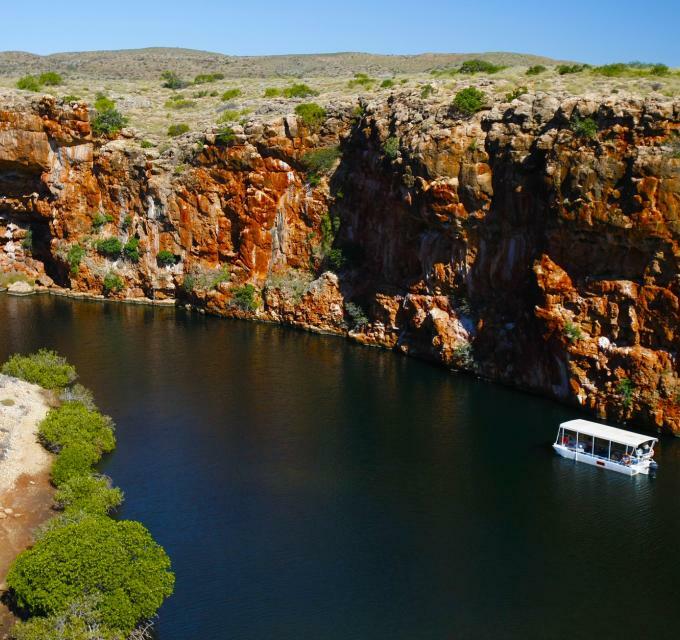 Departing from the Yardie Creek jetty, situated within the Cape Range National Park, board your safe, comfortable and well-shaded vessel “Yardi” for a one hour boat cruise along the creek and learn some interesting things about the local region, the unique flora & fauna, aboriginal history and the beautiful environment. 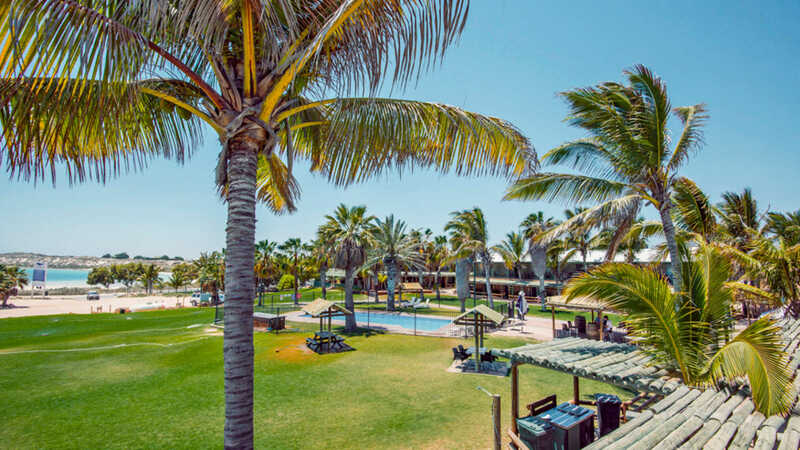 Ningaloo Reef Resort, Coral Bay, is the ideal accommodation to relax and unwind, located less than 100 paces from the beach and central within Coral Bay. The Resort has beautiful manicured, lawns and gardens. The Resort offers a fully licensed restaurant and bar, casual meals area, swimming pool and guest BBQ, all with wonderful views over the bay. The Ocean View Apartments overlook the tropical gardens with sparkling pool and ocean views. Containing one queen bed and one double with single overhead bunk and a sofa bed. Features include private verandah with outdoor furniture, TV, air conditioning, dining setting and kitchenette. In house movies are also available with all linen supplied. Watch through the huge underwater viewing windows as we take you for a 1 hour tour across the most beautiful coral gardens in the World. You will be aboard the best coral viewing vessel complete with on board commentary from the resident marine biologist and you will see many, brightly coloured fish species and perhaps spot a dolphin, a turtle or a shark. Tours are 1 hour long and depart from the Pontoon on the main beach in Coral Bay from 09:00am till 3:00pm (subject to change).